18 months ago Debora chose to do something very different and significant after learning that she too could carry the same deadly ovarian cancer gene mutation that her sister has, and that her mother passed away from five years ago. She wanted to challenge herself beyond anything she’d done before and in the process raise awareness of ovarian cancer. Debora founded the charity Life Cycle and produced a short documentary film called Life Cycle Project; which documents her personal journey from cubicle-dweller to mountain warrior as she mountain bikes up (and down!) nine harrowing summits across the Canadian Rockies. In 2012 Debora received a full scholarship to attend the Banff Adventure Filmmakers Workshop. 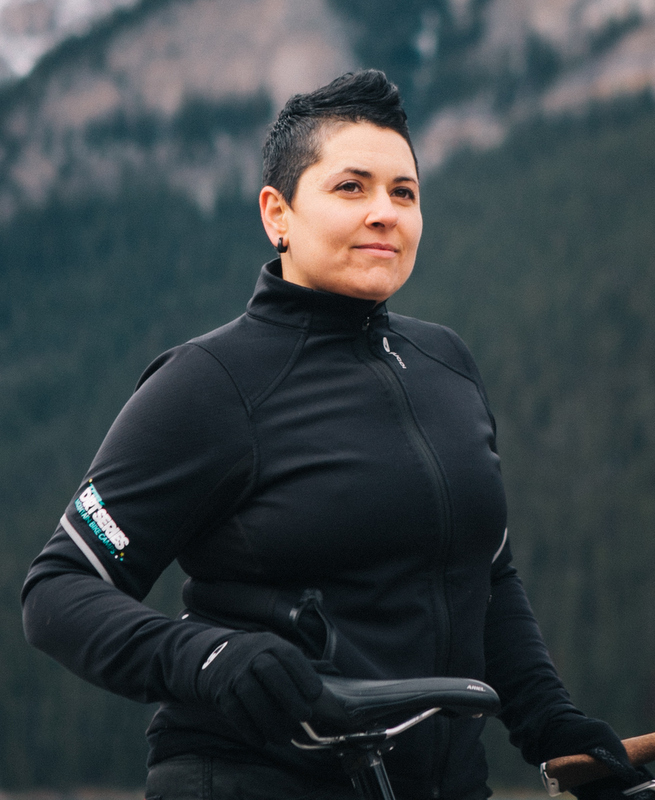 Her film Life Cycle Project was a Finalist at the 2013 Banff Mountain Film Festival and is currently being screened at Festivals and film competitions around the world. Debora currently lives in Vancouver and continues to grow her charity Life Cycle.